You know, my collectors are the best people! 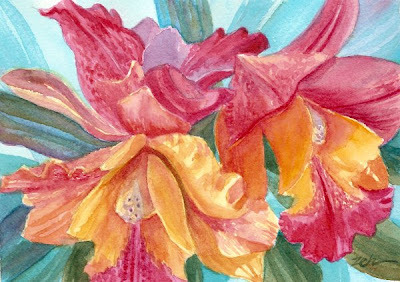 One of them sent me photos of flowers she took while on vacation in Hawaii, so I have some lovely tropical flowers to paint. Hawaii is known for its gorgeous flowers. These orchids are gloriously colorful in shades of pink and yellow!